parapet channel | KOPOS Elektro Kft. If the SK 40X33 (higher) shielding canal can be installed, it is not possible to use instruments with a larger installation depth, eg with an overvoltage protection device. The producer recommends checking the depth of a particular device before installation. 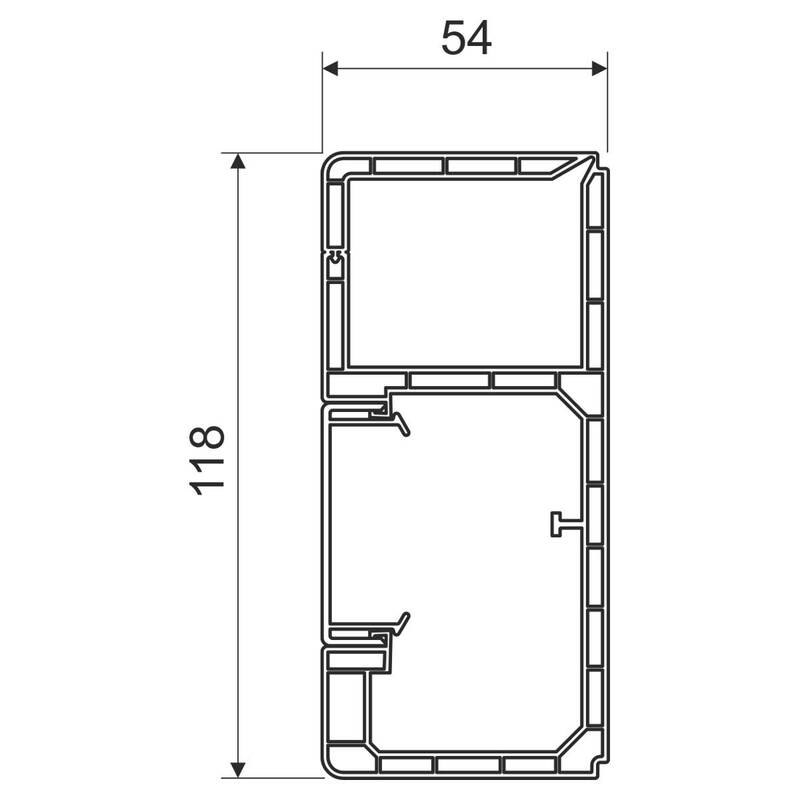 Designed for installation of modular devices 45 x 45 or 45 x 22,5 mm. KOPOS recommends installing QUADRO instruments, tailor-made for KOPOS products. The installation devices from other manufacturers is possible e.g. ABB, PEHA, Legrand, OBO Bettermann, Schneider Electric Altira with maximal instrument depth 42mm. The tilting section allows inserting the shielding canal SK 40X20 or SK 40X33, which ensures perfect shielding of data circuits. 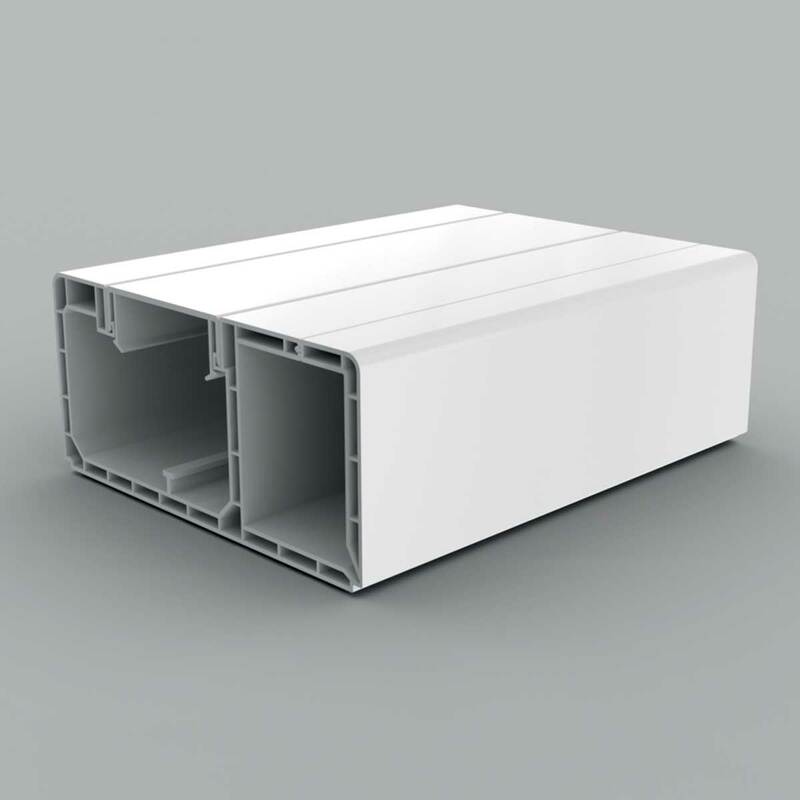 If shielding and therefore inserting shielding canals is required, parapet trunking must be installed with tilting section up. Maximum number of modular instruments placed next to each other is 3 pcs. When installing multiple instruments next to each, it is necessary to put about 5 cm wide piece of lid after 3 pieces to fasten them. There is no need to use any covers for the final installation of modular devices. The lid is cut to the desired length and inserted next to the instrument.